The Dolphin Snorkel Tour lets you swim with wild dolphins in their natural environment. Snorkeling with dolphins in the beautiful blue waters of Hawaii is unmatched. 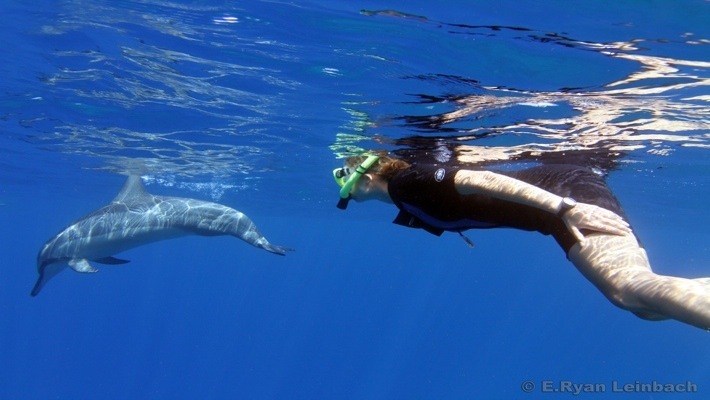 Liquid Hawaii is your ultimate guide for exciting dolphin snorkel tours. 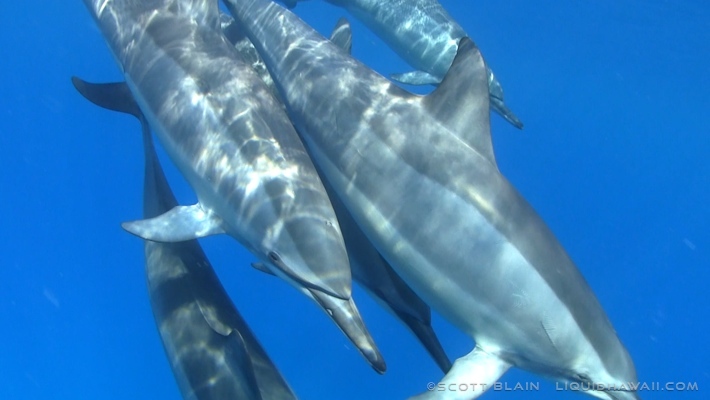 The Hawaiian spinner dolphins are curious and playful by nature, allowing us a close dolphin swimming encounter that is unique and special every time. Snorkeling alongside a pod of wild dolphins is unlike anything you have ever experienced. It is truly an epic ocean experience that will be one of your best memories of your time in Hawaii! We conduct our Dolphin Swim Tours with respect for the wildlife. The safety of the animals and our guests are our highest priorities. 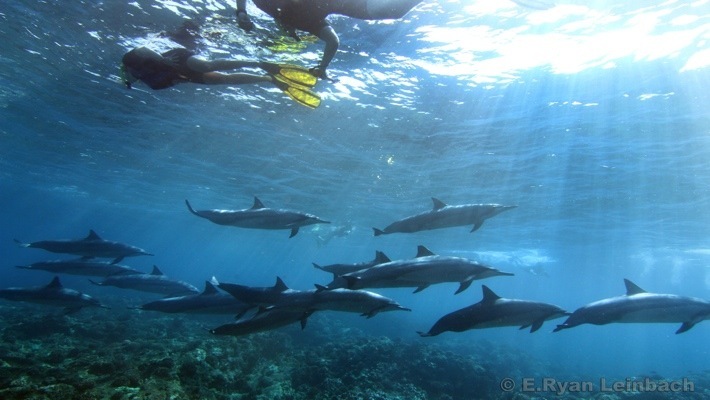 We provide you with proper etiquette of snorkeling with wild dolphins so they are not stressed in any way. We are an ocean eco-tour company and a Green Listed Activity Provider in Hawaii. 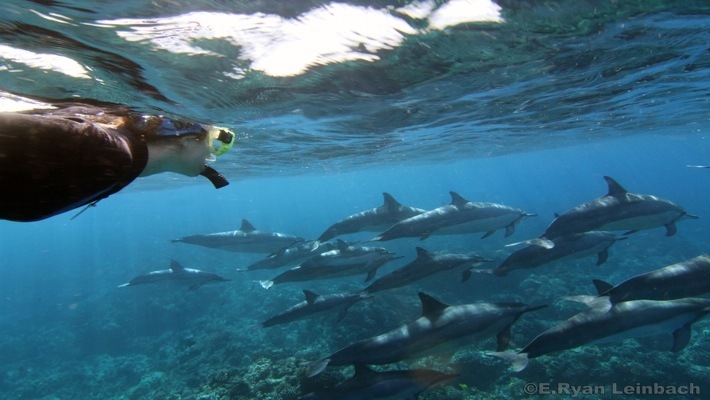 Liquid Hawaii takes 6 guests on our dolphin snorkel tours. We want you to have quality snorkeling time, intimate dolphin encounters and the personal attention that you only get from our charters. Join us book your Dolphin Snorkel Adventure! Check-in time: 8:00am for the Dolphin Snorkel Tour. $189.00 per person, plus tax. Includes all snorkel gear, snacks, juice, bottled water & soda. 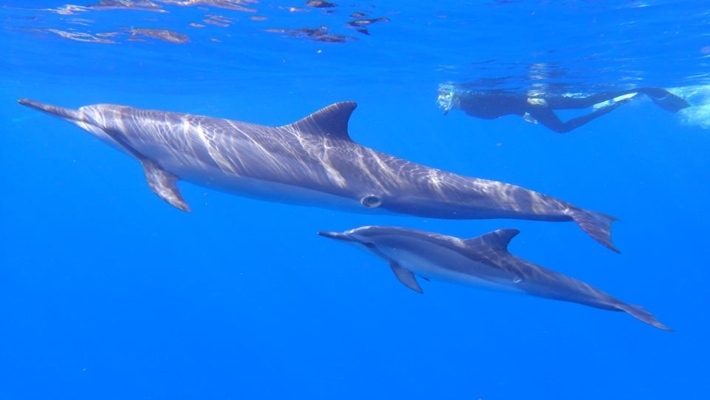 Swimming with dolphins is amazing, there is nothing like snorkeling with wild dolphins in Hawaii. We will set out along the beautiful coast looking for Hawaiian Spinner dolphins, Bottlenose dolphins and Spotted dolphins. 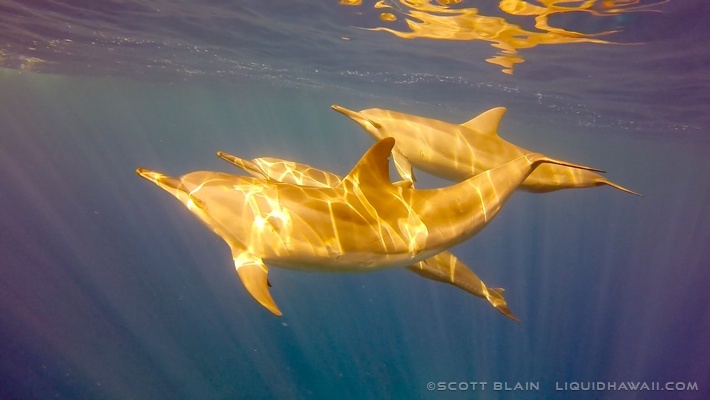 Hawaiian spinner dolphins are here year-round. They come close to shore in the morning to rest and socialize after a night of hunting. They get their name from their acrobat spins and flips as they leap out of the water—quite an entertaining sight of wildlife! Weighing around 170 pounds, they are incredibly social and playful. They can be found in sub pods of 10 or more and in super pods of up to 200+. Once we find a pod of dolphins, we will give a detailed briefing on how to safely and respectfully snorkel with the dolphins. 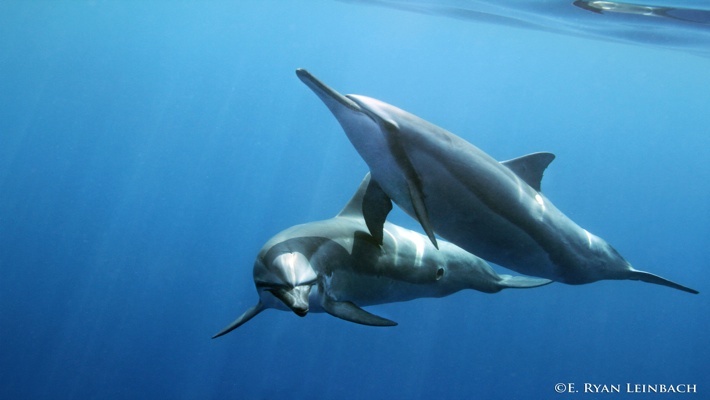 These amazing and intelligent creatures will use their "dolphin sonar" to echolocate as they swim around you, and you can actually hear them communicating as a pod when they approach you in the water. Our dolphin swim charter will be one you will never forget. ‘Liquid Hi’ is a Custom Northport SeaForce 730 Military Zodiac boat that has served our country, formerly used by the U.S. Navy Special Forces and is now serving our guests in Hawaii. It has a large bimini top that offers plenty of shade, dry storage, comfortable seating and a smooth ride. We provide masks, snorkels, fins and flotation devices. Please bring a towel and non-aerosol sunscreen.